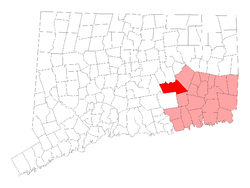 About half an hour from our pediatric dental clinic in North Windham is the rural town of Colchester, Connecticut in New London County. Colchester, CT is one of the fastest growing towns in Connecticut. As your young ones grow, they will need to learn proper oral hygiene procedures and receive periodic check-ups and cleanings. CT Pediatric Dentistry is an excellent choice when it comes to choosing a dentist for your child. Our goal is to make children feel comfortable when it comes time to visit their dentist. Pediatric dentists specialize in oral care for children, having 2 to 3 years of additional training after completing dental school. Serving children exclusively, our dental office in North Windham, CT is an ideal environment to help your child feel at ease during a potentially anxious time. Many of us remember anxiety about visiting the dentist, and our experienced team strives to deliver comforting service to your little loved ones. A visit from Colchester to CT Pediatric Dentistry in North Windham is a good idea if your child's first tooth has just come in. Starting good oral hygiene routines and regular visits to the dentist early in life prime your child for a lifetime of good dental health. 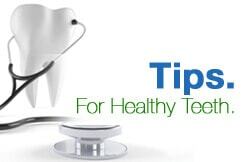 Visiting us every 6 months helps children keep good dental habits and allows us to remind them of the importance of using proper techniques for brushing and flossing. Education and preventive care is very important to us at CT Pediatric Dentistry and we want to help you instill wisdom and best practices in your child. Older children have a place in our facility, as well. Teenagers may enjoy a teeth whitening consultation with one of our pediatric dentistry specialists so they can learn the process of teeth whitening and give them a better understanding of what to expect when making the decision to have their teeth bleached. For those rare emergencies like serious tooth-aches, or an accident resulting in a broken tooth, we have a doctor on-call to meet your needs. Our after-hours emergency dental hotline is 860-523-4213, the same number we use for our West Hartford office. To schedule a regular appointment, however, dial 860-456-0506 to speak with a member of our friendly team.